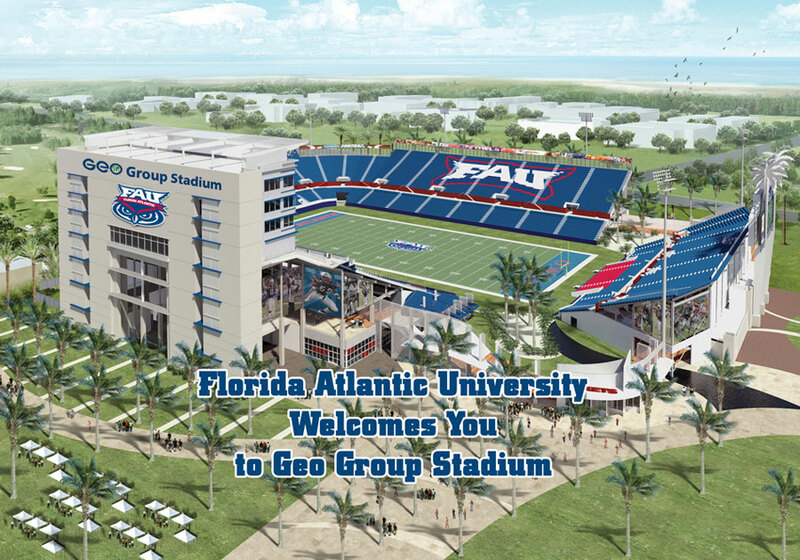 Yesterday, after receiving a gift of $6 million, Florida Atlantic University announced that it was renaming its stadium “The Geo Group Stadium,” after the for-profit prison company, best known for operating detention facilities on behalf of Immigration & Customs Enforcement. It is remarkable that any university would name a stadium after a prison company, but simply stunning that Florida Atlantic University, which sits in South Florida, a community that has been decimated by the overuse of civil immigration, would be so tone deaf as to think this was a good idea. Although $6 million can certainly affect one’s “hearing,” FAU’s renaming of its stadium displays a failure of a university’s most cherished obligation, to empower students to make intelligent, ethical and moral decisions in a complex world. FAU is a public school with over 30,000 students and boasts that 44% of its students are “minority or international students.” Twenty-three percent of FAU students identify as “Asian” or Latino.” And FAU sits in Southern Florida, where GEO operates a notorious link in the immigration gulag, the Broward Transitional Center, in FAU’s hometown of Boca Raton. Universities have long been at the forefront on civil and human rights issues. Universities nurtured the civil rights movement, the women’s and gay liberation efforts. Universities divested from South Africa during apartheid and universities have led the charges against foreign sweatshops that made apparel sold in college bookstores. And it is no surprise that universities have been actively involved in the immigrant rights movement. Leading educators have stood up for the DREAM Act, have supported efforts to get individuals out of detention and deportation proceedings, and have led urgency to the need for a better system for employment-based immigration. So, why would FAU accept a donation and so prominently highlight a company who makes it profits off the maintenance of an immigration detention apparatus that is morally dubious if not downright repugnant? A $42 million (seven football stadiums!) verdict against GEO for the “malicious” death of Gregorio de la Rosa, a detainee at GEO’s Rio Grande Regional Detention Center. The court also found that GEO destroyed evidence related to the death of Mr. de la Rosa. In 2007, Texas canceled an $8 million contract with GEO and closed the Coke County Juvenile Justice Center. Inspectors found feces on floors and walls, padlocked emergency exits and overuse of pepper spray on young inmates. In addition, the GEO groups lobbies for punitive immigration laws and resists efforts to introduce more discretion for judges to release detained individuals. After all, the trough must be refilled. It has a very cozy relationship with ICE. Just last week, we learned that a former ICE bureaucrat David Venturella, who had some ambitious ideas about pumping up removal numbers, has left ICE for his payday at GEO. The revolving door between government and for profit incarceration is quite lucrative for ICE bureaucrats, but there is no such door for detainees. It is simply stunning that a university would agree to name a stadium after this behemoth. It is especially galling in South Florida, where brave immigrant activists Marco Saavedra and Viridiana Martinez infiltrated the Broward Transitional Center to document abuses and conditions. Would FAU name their stadium after the Bushmaster assault rifle? Or after Phillip Morris (rebranded as Altria)? No university in their right mind would ever be associated with such corporate pariahs. The goal for immigrants rights communities is to make the name of GEO as toxic as those names. The devastating impact that GEO has had on the immigrant community in South Florida simply makes it an unacceptable choice for naming rights at a stadium. Especially one in South Florida. FAU must know that GEO is as much a pariah as gun manufacturers and cigarette pushers. How many FAU students have been detained by GEO? How many FAU student’s parents and loved ones languished in GEO’s dungeons? How many kids never got a chance to attend a football game because GEO got them first? Dream Activist has started a petition. Please sign. Please share on all your networks. While FAU may be intoxicated with GEO’s money, they need to be reminded that their community or “customers” reject GEO’s profiteering on detention misery.